This report compares the iReady Tiers for a given set of students across multiple years. 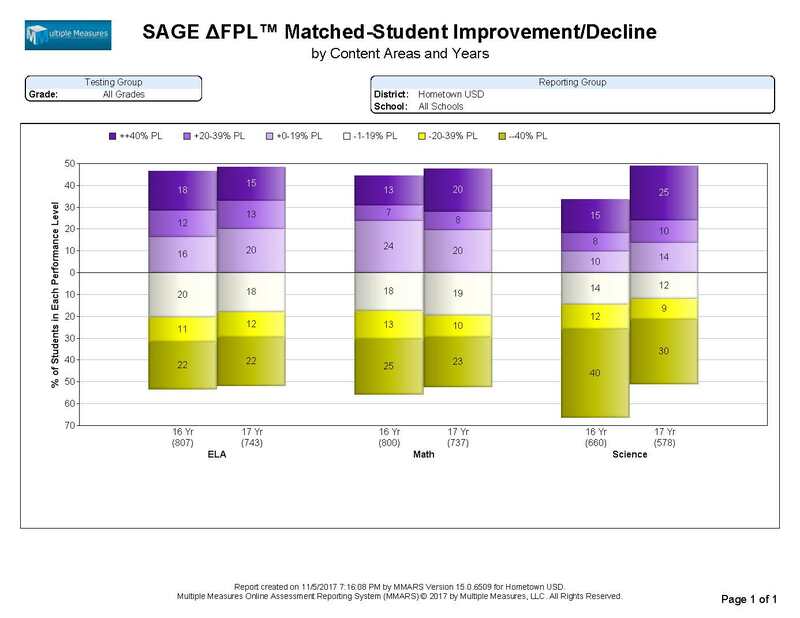 Note that this is not a cohort report, so each year represents a somewhat different set of students. This report is also available across many different Jux™ orientations. 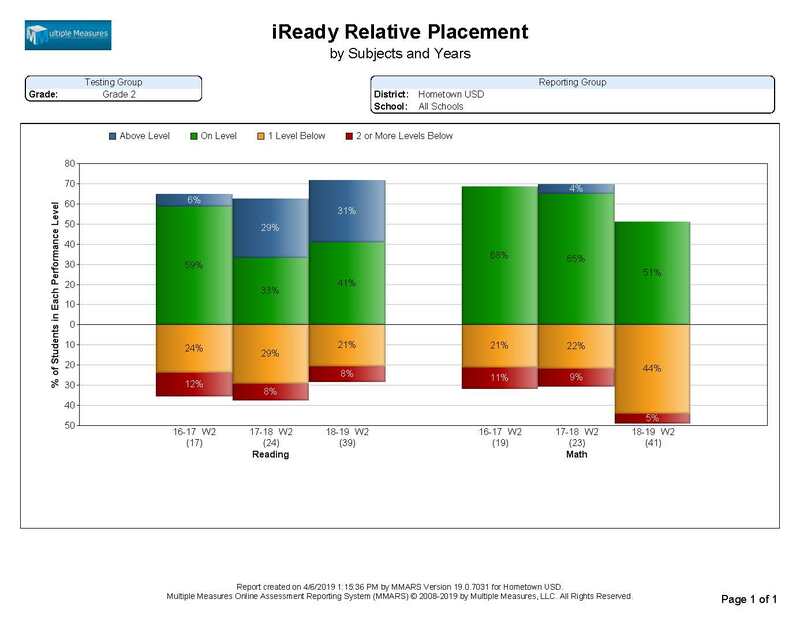 This report compares the relative placement for a set of students across multiple years. This report is also available across many different Jux™ orientations. 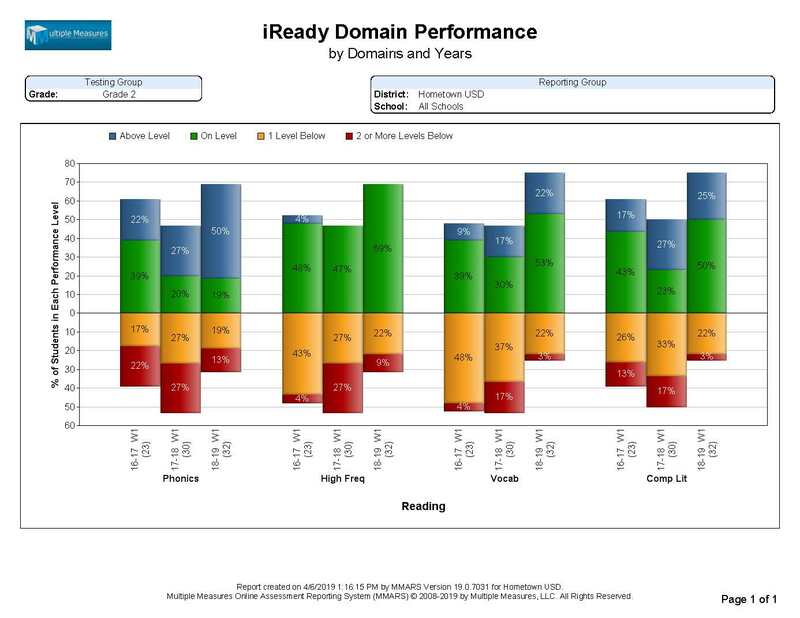 This report compares the iReady Domain Performance of a given set of students, across multiple Subjects, for multiple years. This report is also available across many different Jux™ orientations. 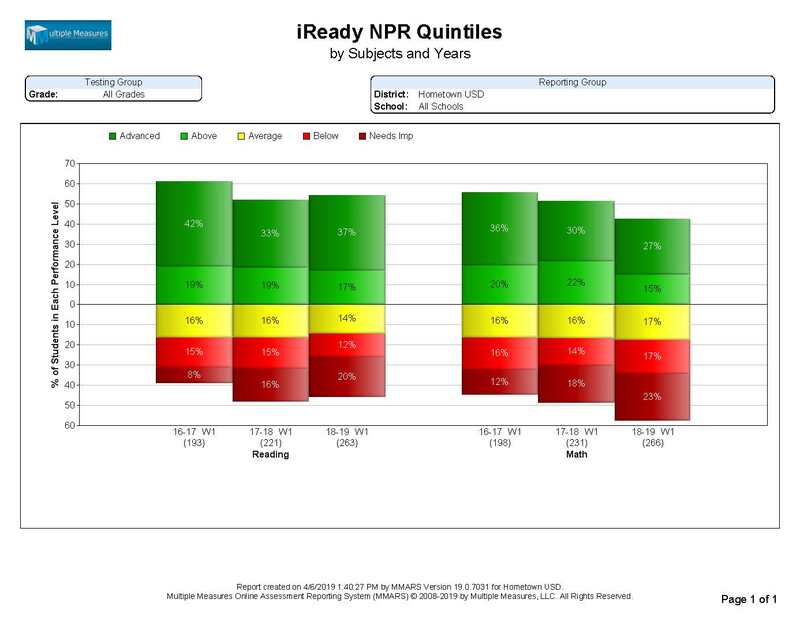 This report compares the NPR Quintile scores, for a given set of students, across multiple years. 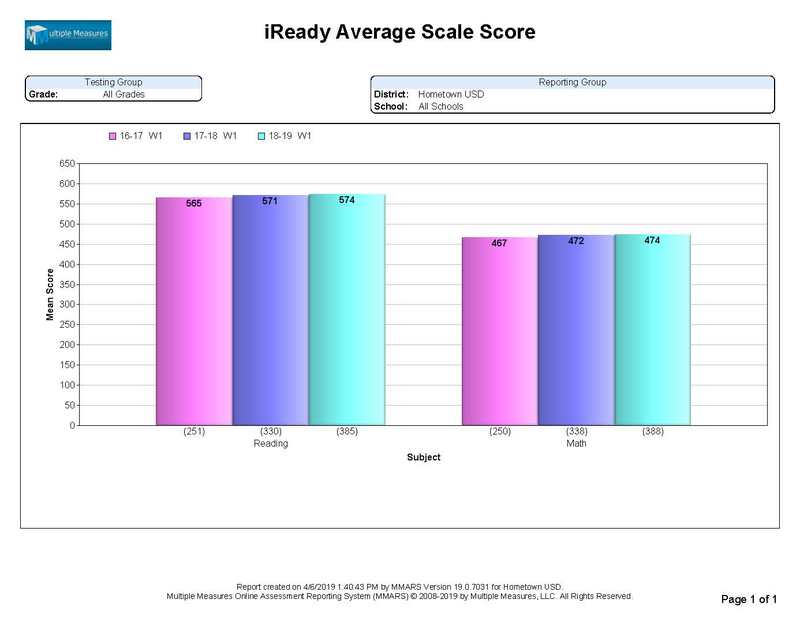 It ranks students as Needs Improvement, Below, Average, Above, or Advanced. This report is also available across many different Jux™ orientations. 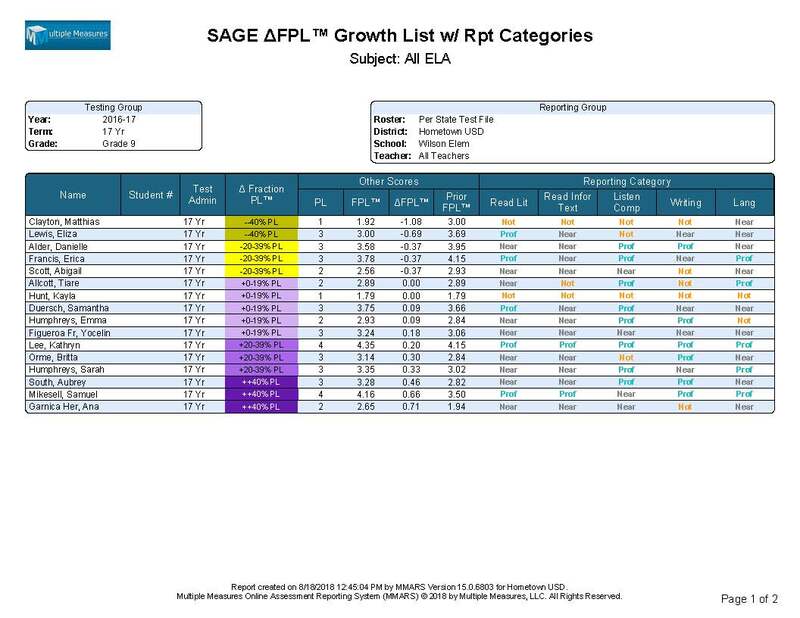 This report lists multiple years of either ELA/Literacy or Math Tiers, alongside the NPR, Quantile, and Domain scores for all of the students at a given school, in a given grade or in a specific classroom. 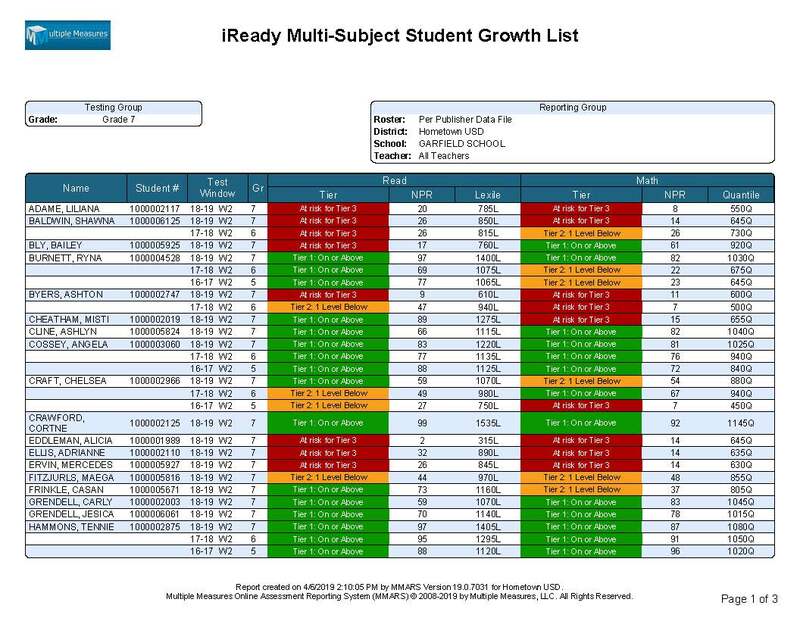 In this example’s case, it lists only the 7th grade students at Garfield School. 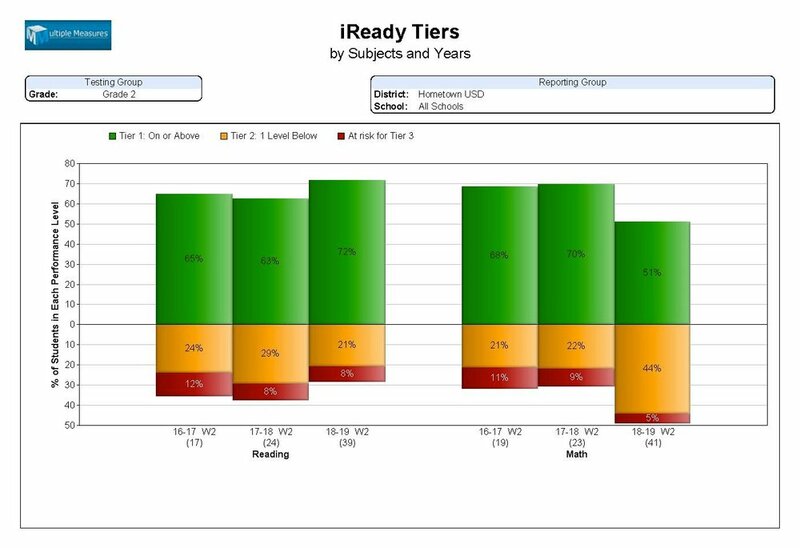 This report lists multiple years of Reading and Math scores in terms of iReady Tier, NPR, and Lexile (Quantile for Math) score types, for any given set of students. 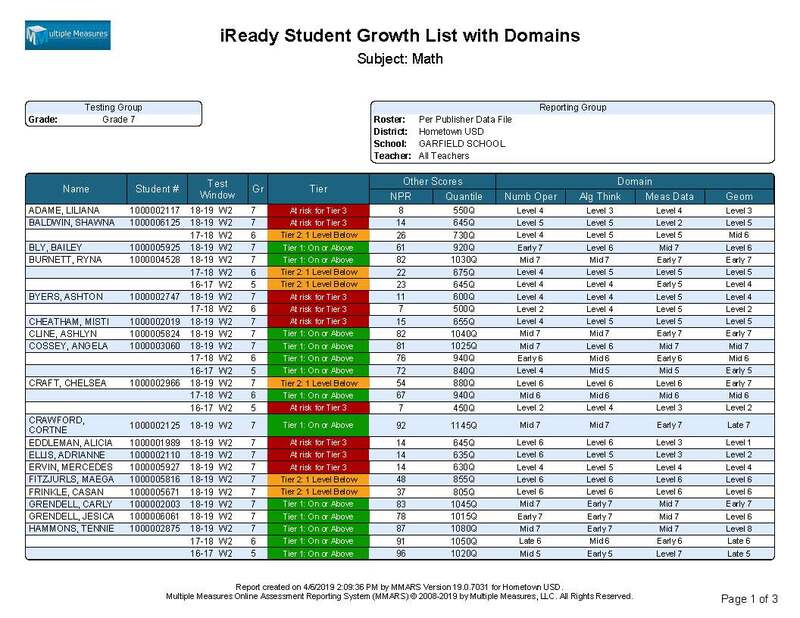 In this example’s case, it lists only the 7th grade students at Garfield School.